Rick Riordan (www.rickriordan.com) is the author of the # 1 New York Times best-selling The Heroes of Olympus, Book One: The Lost Hero; The Heroes of Olympus, Book Two: The Son of Neptune; The Heroes of Olympus Book Three: The Mark of Athena; The Heroes of Olympus Book Four: The House of Hades; the #1 New York Times best-selling The Kane Chronicles, Book One: The Red Pyramid; The Kane Chronicles, Book Two: The Throne of Fire; The Kane Chronicles, Book Three: The Serpent's Shadow; as well as the five books in the #1 New York Times best-selling Percy Jackson and the Olympians series. His previous novels for adults include the hugely popular Tres Navarre series, winner of the top three awards in the mystery genre. He lives in Boston, Massachusetts with his wife and two sons. John Rocco (www.roccoart.com) studied illustration at Rhode Island School of Design and The School of Visual Arts. 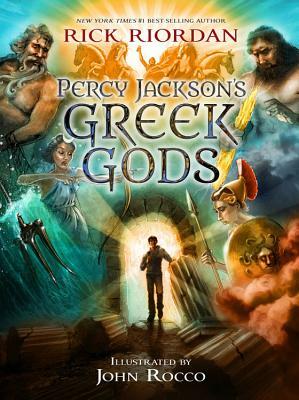 In addition to writing and illustrating four of his own picture books, including the Caldecott Honor-winning and New York Times bestselling Blackout, he has created all of the cover art for Rick Riordan's best-selling Percy Jackson, Kane Chronicles, and Heroes of Olympus series. He has also illustrated books by Whoopi Goldberg and Katherine Patterson. Before becoming a full-time children's book creator, he worked as an art director on "Shrek" for Dreamworks, and for Disney Imagineering. He lives in Los Angeles.